The CXCR4 Mutation Analysis Blood Test is a genetic test to detect abnormalities in the CXCR4 gene. It aids in the diagnosis of immune deficiency and leukemia (specifically, Waldenström macroglobulinemia). 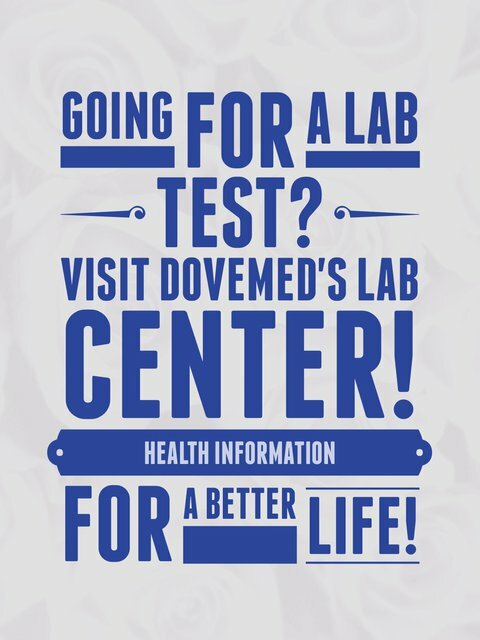 The methodology used for the test may vary from one laboratory to another. Note: Molecular testing has limitations due to the molecular method and genetic mutational abnormalities being tested. This can affect the results on a case-by-case basis. Consultation with your healthcare provider will help in determining the right test and right molecular method, based on individual circumstances. 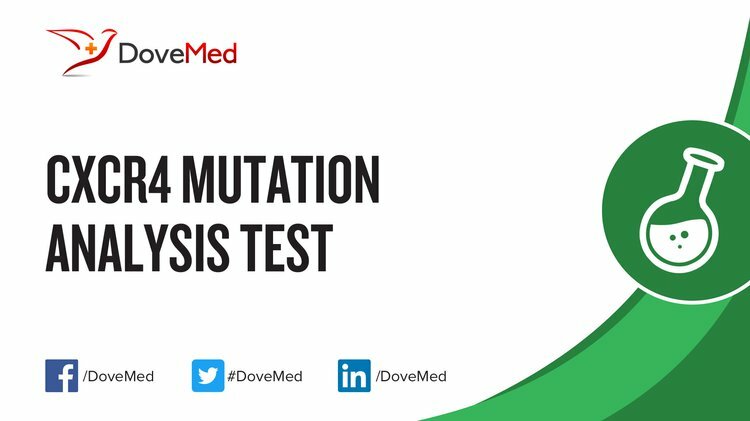 What are the Clinical Indications for performing the CXCR4 Mutation Analysis Test? How is the Specimen Collected for CXCR4 Mutation Analysis Test? The specimen sample requirements may vary from lab to lab. Hence, it is important to contact the testing lab for exact specimen requirements, before initiating the testing process. What is the Significance of the CXCR4 Mutation Analysis Test Result? CXCR4 mutation most notably occurs in a location of the chromosome called 2q22.1 - i.e., the long arm (q) of chromosome 2 in position 22.1. Certain medications that you may be currently taking may influence the outcome of the test. Hence, it is important to inform your healthcare provider of the complete list of medications (including any herbal supplements) you are currently taking. This will help the healthcare provider interpret your test results more accurately and avoid unnecessary chances of a misdiagnosis. Hunter, Z. R., Xu, L., Yang, G., Zhou, Y., Liu, X., Cao, Y., ... & Treon, S. P. (2014). The genomic landscape of Waldenström macroglobulinemia is characterized by highly recurring MYD88 and WHIM-like CXCR4 mutations, and small somatic deletions associated with B-cell lymphomagenesis. Blood, 123(11), 1637-1646. Roccaro, A. M., Sacco, A., Jimenez, C., Maiso, P., Moschetta, M., Mishima, Y., ... & Cohen, L. (2014). C1013G/CXCR4 acts as a driver mutation of tumor progression and modulator of drug resistance in lymphoplasmacytic lymphoma. Blood, 123(26), 4120-4131. Liu, Q., Pan, C., Lopez, L., Gao, J., Velez, D., Anaya-O’Brien, S., ... & Malech, H. L. (2016). WHIM Syndrome Caused by Waldenström’s Macroglobulinemia-Associated Mutation CXCR4 L329fs. Journal of clinical immunology, 36(4), 397-405. Gómez-Moutón, C., Fischer, T., Peregil, R. M., Jiménez-Baranda, S., Stossel, T. P., Nakamura, F., & Mañes, S. (2015). Filamin A interaction with the CXCR4 third intracellular loop regulates endocytosis and signaling of WT and WHIM-like receptors. Blood, 125(7), 1116-1125. Schmidt, J., Federmann, B., Schindler, N., Steinhilber, J., Bonzheim, I., Fend, F., & Quintanilla‐Martinez, L. (2015). MYD88 L265P and CXCR4 mutations in lymphoplasmacytic lymphoma identify cases with high disease activity. British journal of haematology, 169(6), 795-803. Ballester, L. Y., Loghavi, S., Kanagal-Shamanna, R., Barkoh, B. A., Lin, P., Medeiros, L. J., ... & Patel, K. P. (2016). Clinical Validation of a CXCR4 Mutation Screening Assay for Waldenstrom Macroglobulinemia. Clinical Lymphoma Myeloma and Leukemia, 16(7), 395-403.